You can retrain your mind to respond to situations in a much more resourceful way. 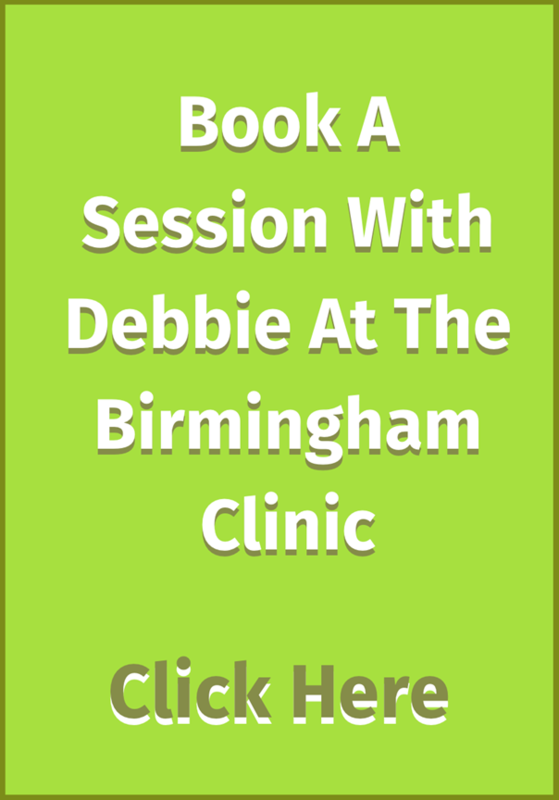 You can stop panic attacks now with Birmingham hypnotist Debbie Williams. She has many years experience in dealing with panic and anxiety attack sufferers and puts this experience to very good use on this ''Stop Panic Attacks'' recording which you can buy for a fraction of the cost of a one to one. When someone first has a panic attack they often mistake it for a heart attack. This is because the symptoms (such as shortness of breath, tight chest, rapid heartbeats, sweating, dizziness, disorientation, shaking and trembling) are so similar. Panic attacks can be brought on by any number of factors, but stress and viral infections are high on the list. The fear and anticipation of your next panic attack is often what causes them; if you suffer from panic attacks then you will know this only too well. Think of a future situation where typically you would have suffered from a panic attack and notice what begins to happen in your mind. Panic and anxiety are habits and habits can be changed for the better. For whatever reason—and it really doesn't matter why or when—your brain learned to panic in certain situations and contexts. And there can be many contexts! In this recording, NLP master practitioner and hypnotherapist Debbie Williams will train your mind to do something else rather than anticipate the fear. You will learn how to think like a person who doesn't have panic attacks. Even better, it will all happen automatically. Listen regularly to the stop panic attacks and succeed! Yes, sometimes a person listens to a self hypnosis recording such as this and is immediately cured. The brain can learn very quickly. Usually, though, it takes many repetitions for the brain to re-pattern itself, so make sure you listen regularly and keep listening even if you don't get immediate results. Those people who fail to make changes using self hypnosis are usually those who listen two or three times, don't feel any different, and give up. Debbie does NOT want you to be one of those people, she wants you to succeed! That is why we offer a full 60-day guarantee for 'Stop Panic Attacks'. So you have everything to gain by ordering your copy now. These recordings are designed to complement traditional medicine, not replace it. If you have any doubts about your mental or physical health you should visit your doctor as soon as possible to eliminate any treatable causes for your panic attacks. Have also suffered from panic attacks, anxiety, depression, suicidal thoughts & CFS, have been using NLP & hypnosis very successfully for these issues & have recently come of citalopram for anxiety/depression. I have used Debbie Williams CDs & had one to one sessions, which have been invaluable to me, without her help I hate to think what would have happened. I am well on the road to recovery now, still have some bad days but not so many as b4. It’s worked for me. I'm sure you get hundreds of messages of thanks, but I just wanted to email to say a big thank you for turning my life around. I bought your 'Stop panic attacks' download from the website only a few days ago. Listening made me realise that I was in a negative spiral, just focusing on all the panic attacks I had in the past and expecting them to happen again. It got so bad I was admitted to hospital a few weeks ago with a suspected heart attack. It turns out it was just anxiety. I have listened to the whole CD several times and each time the benefits increase. I can now leave the house for the first time in weeks, sleep, work, and enjoy being with my children. I am feeling really positive and already feeling able to cope with anything. I shall continue to play the trance bit every night as I feel a boost when I wake up.